How many of us enjoy basking in the heat of a glorious summer’s day, soaking up the sun and taking time out to rest and relax? There is little to compare to the feeling of warm rays of sunshine on the skin, it instantly makes us feel so much better (and appear healthier) when we get a tan. Whilst we all need daylight and fresh air to keep us healthy, and get our required vitamin D intake, essential for health bones and skin. 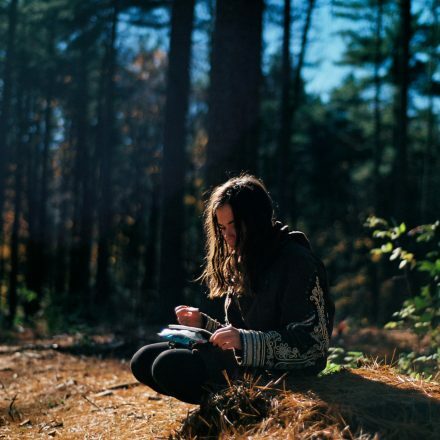 We need to be mindful of how much sun we get, and the potential damage we cause our epidermis by not caring for it properly, before and after we hit the great outdoors. We’ve put together some useful information on safe tanning, sunburn and the health of your skin. We’ve all felt the ‘ouch’ factor and had red, painfully sore skin just a few short hours after being outdoors. This is usually a sure sign that you’ve had far too much sun exposure than the skin type you have can handle. The pink, or red skin, coupled with pain and burning is a warning that you’ve already experienced UV damage and once that’s happened, it is irreversible. Once you fully understand how and why sunburn happens, it can really help you get a grip on how to better take care of your skin so that you can spend time in the outdoors without worrying (or getting burned again). Everyone’s skin is totally unique, and it determines how much sun you can personally cope with. The fairer and paler you are, the less sun you’ll be likely to tolerate without burning. Pale skin is usually an indication that your ancestors might have lived in places that had cooler temperatures and less sunlight). The more olive your complexion, the more likely you’ll be able to catch the sun without burning. You’ll find you get a deeper, richer tan and that your skin is hardier. However, every type of skin can get sunburn and just because you tan and catch the rays easily does not mean you’re immune to sun damage! What causes a sunburn to occur? Sunburn happens when you have too much UV exposure, and it’s good to understand how the different wavelengths of ultraviolet light defined and what they do to your skin. UV rays that reach the earth’s surface react with melanin in human skin. Melanin is something we all have in varying degrees in our epidermis. It determines what color our skin will be. It is this chemical that absorbs UV rays before they can do too much damage to your skin. When melanin levels increase, as we become more exposed to the sun, we then begin to tan. Many people will be aware of both UVB and UVA Rays as these are the most common type, associated with sun and sun damage. However, it’s handy to know about UVC Rays too, even though they will often have little or no bearing on your skin. UVC ray’s wavelength is about 200-290 nm and they have the shortest wavelength. They are the most dangerous among all the rays. However, even though they are the most dangerous, UVC rays do not reach the earth’s surface and are always completely absorbed by the ozone layer. They are not considered a risk at all in cases of skin cancer, but these rays are present in manmade sources of radiation such as welding torches and mercury lamps. In years gone by, UVC rays were used in tanning beds – though not anymore. These are more well known amongst the general populace and are the major reason our skin burns. If you go to the drugstore to buy an SPF Cream or lotion, you’ll more than likely notice that the packaging will tell you it “protects against UVB Rays”, or other similar wording. The intensity of UVB rays varies during the year, and also obviously according to where you live in the world. To understand UVB rays properly you need to know the times of day you’re most likely to burn and the location you reside. Unlike UVB Rays which vary in intensity, UVA Rays are always the same, wherever you are in the world and whatever time of day it is. They are also reflected off sand and snow and can also penetrate water. There are more UVA Rays than there are UVB Rays but these are less likely to cause you sunburn. UVB Rays are the ones most likely to burn your skin before the UVA Rays do. In tanning and sunbeds it is the UVA Rays that burns skin, because they have no UVB Rays in them. You’ll get all UVA Rays from a device like this, but this is no good for skin either. UVA Rays will always penetrate the skin to a deeper level meaning that they’re more likely to cause skin damage long term and short term too. Tanning beds and the rays they produce are also a lot more likely to give you wrinkles and premature skin ageing. 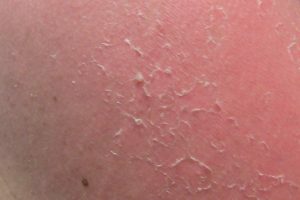 What Happens When Your Skin Burns? When you’ve had too much exposure to the sun, you’ll get a sunburn. It doesn’t show up straight away, which is often why people think they can stay out in the sun, without protection for long periods of time – because their skin feels and looks ‘fine’. It’s only later in the day when the damage starts to show itself. Around four to six hours after you’ve come out of the sun you’ll notice your skin is pink, red and painful. 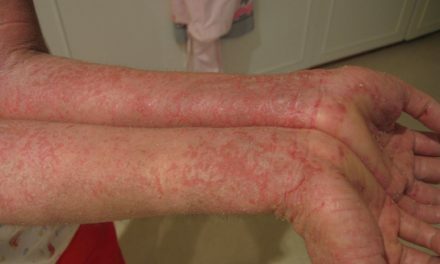 This redness will peak around twelve to twenty-four hours later. However, it can show up much more quickly, depending on your skin type and whereabouts you are in the world. For instance, if your skin is fair and you’re on a really hot vacation somewhere tropical, the effects of a burn might show up within an hour or so. Your skin will feel very tender to the touch. You might not want to have the feeling of material on it, or anything touching it at all. If your skin is extremely burned, you may get blisters. After two or three days, or up to a week you’ll find the skin starts to peel off. Very severe sunburn can also coincide with heat stroke, in which you may feel feverish, have nausea and/or vomiting, coupled with low blood pressure. This will need medical treatment from a healthcare professional. Even once your skin is healed from a sunburn it never recovers the damage. The more often you burn, the more damage will occur and this is irreversible. It puts you at a higher risk of developing melanoma (skin cancer) at worst, and at the very least you’ll have prematurely aged, dry and wrinkly skin. The big question is “is it possible to enjoy the sun and tan safely?” and the answer is “yes”. To tan safely, make sure it lasts and enjoy the sun there are a few simple steps you need to undertake. However, it’s important to understand what happens to your skin when it tans. There are 2 types of tanning that occur after UV exposure. It’s important to know how these are defined as one of them makes melanin in your skin (and will therefore give you a very small amount of extra sun protection) and the other doesn’t. Melanin is the pigment in your skin, it’s formed and held in your skin and is activated by the sun, which ends up giving you the eventual color of your tan. Melanin is formed in cells called melanocytes. These melanin ‘granules’ form and then spread out in the top layer of the epidermis when you’ve exposed yourself to the sun. This is when your skin tans straight away. It occurs because the skin redistributes the pigments that were already in the skin. No new melanin cells are made. Immediate pigment darkening will start immediately after UVB and UVA exposure, or one or the other. You’ll tan straight away, and it will maximise itself after just a few short hours. As it happens so quickly it is the kind of tan that offers you no protection from the sun and damages your free radicals. It is the sort of tan you might achieve by using a tanning bed or sun lamp. It’s often the type of tan that people want to achieve before they go on vacation, so a very quick fix. It’s dangerous and not advisable! Immediate Pigment Darkening from UV exposure causes an increase in the thickness of the dead skin cell layer of your skin, also known as the stratum corneum. This is a sign that your skin is trying to protect itself, as a thick, dead layer of dead skin will afford a little (but not much) skin protection. Modern skin care teaches us that regular exfoliation is the way to keep skin from looking dull and tired out. It’s these dead skin cells which give us a tiny bit of protection from the sun. It’s a catch 22 situation! This is a type of tanning that develops over time and only comes from UVB Rays. You won’t get it from the tanning rays of sunbeds, which are only UVA. This is delayed tanning that takes time to form. Delayed pigment darkening will happen around two to three days after you’ve had sun exposure and reaches its peak at ten to fourteen days. It occurs when your skin’s DNA is permanently damaged by UVB Rays, so the very fact you have a tan means your skin is already damaged. The tan happens when your skin creates more melanin pigment and then spreads it out in the living layer of your skin. It’ll give you a very small amount of sun protection, but your DNA becomes damaged. As with an immediate tan, another layer of dead skin cells will form to give you a small amount of protection against further damage. If you choose to exfoliate this off, your skin will be softer, but you will lose that slight added bonus of extra sun safety. Many people still want to know how to tan safely – or to tan without causing too much damage. Looking after your skin before you go out into the sun is just as important as how you look after it during and after exposure. Additionally, tanning can help reverse some types of existing skin damage such as young adult acne, but it is still extremely important to remember that tanning can still cause damage on its own, even if you think you’re clearing up other issues with your skin. If you’re going away on vacation, then one product to think about investing in is a tan activator/accelerator. This is a product that contains melanin, and when applied daily, two or three weeks before your vacation and regular exposure to the sun, will help stimulate your skin’s own melanin production and mean that you can use a higher SPF, spend less time in the sun and gain a stronger, longer lasting tan. Some high-end products will also contain a broad spectrum SPF too. Showering and bathing daily, and using non-perfumed, mild soap is the best way to prep your skin for spending time in the sun. Try to steer clear of using heavily fragranced shower gels and lotions, keep your products as neutral and simple as possible. Heavy fragrances can often cause pigmentation and dryness on sun tanned skin. Also be careful not to overdo it on the makeup! “But…I’ll NEVER tan then!” is a cry that often goes out. You will. A High SPF will not stop you getting a tan, rather it will help you achieve a safer, longer lasting tan. Apply a good layer of a factor 30 or above sunscreen around fifteen minutes before you go out and it should afford you good sun protection. Apply again every two to three hours. There are now some brands of SPF cream on the market that offer all day (around 8 hours) sun protection without reapplication and these are worth investing in for children and families as they work out very economically. Opt for perfume and colour free versions of SPF if you can. Sit in the sun, and enjoy it, but take your time. Spend a limited amount of time in the sun every day and let your tan build gradually. 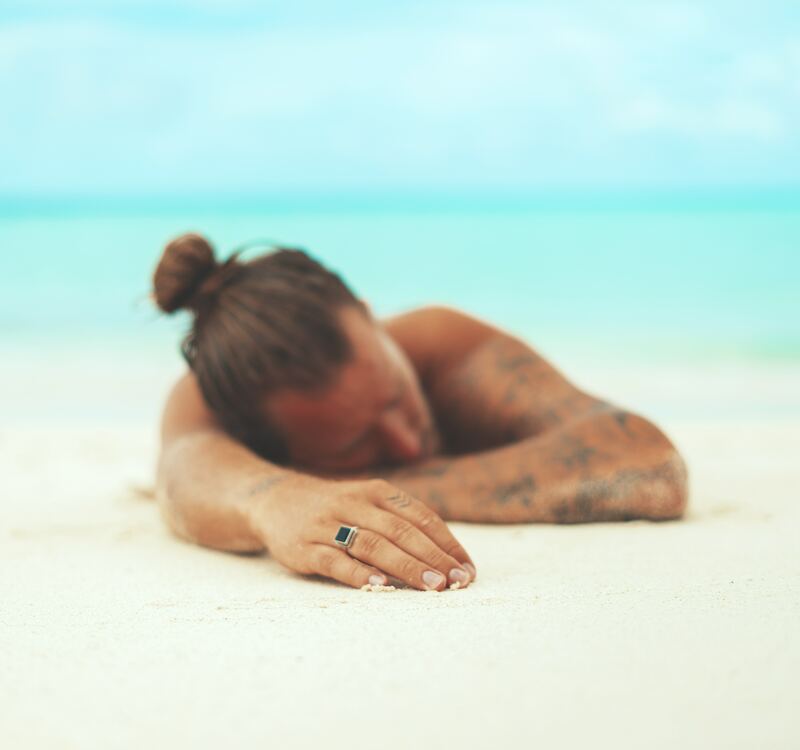 Experts recommend that just half an hour every single day will be enough to let a tan develop over the course of a vacation. Heed this and make sure you also take regular shade breaks too. In the sun, make sure you’re wearing light, comfortable clothing, made from breathable cotton. Always wear a sun hat or other form of head gear that will protect your hair and scalp, and always wear sunglasses. Experts are divided on this. Some dermatologists favor that you avoid exfoliation when trying to tan as the layer of dead skin cells that develop with exposure to the sun give a small amount of extra protection. Some argue otherwise and say that it is better to slough these off with a gentle exfoliator, followed by a generous helping of fragrance free body moisturiser afterwards. When the reaction first appears, take a cool shower or apply cold, damp towels to the affected areas. Leave these for between ten to fifteen minutes. Treat your skin to a moisturiser that contains aloe vera to take down burning and give a cooling, moisturising sensation. Avoid petroleum-based products or anything that contains lidocaine. The former can trap heat into your skin and make it feel more inflamed. The latter can be a potential irritant. Stay cool and hydrated. Drink water regularly. Never pick your skin, especially if it is peeling or blistered. If you feel sick, dizzy or generally unwell, seek medical attention in case you have heat stroke. If I go brown and tan straight away I won’t get cancer as I haven’t burned! Any tanning damages the skin. So even if you haven’t gone red or burned, your skin has still responded to the sun. You’re at no less risk of skin cancer than someone who has gone red from the heat. Untrue. 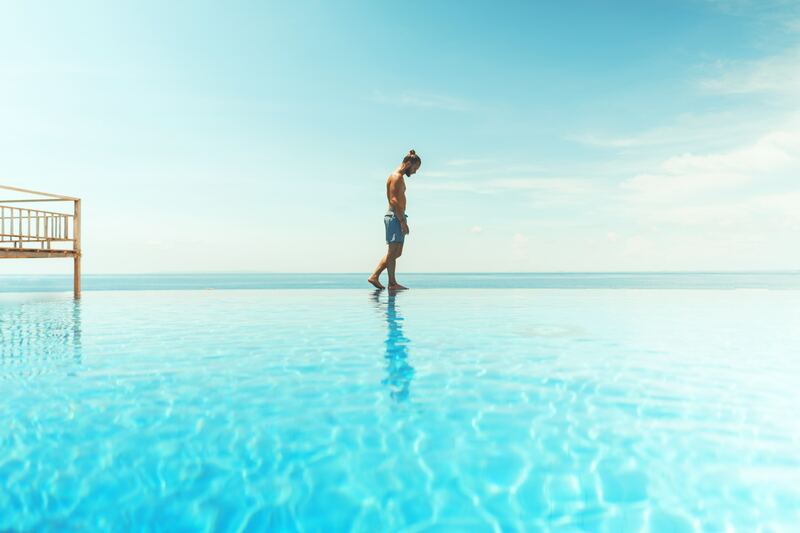 Your skin is already damaged the moment you tan, spending time on a sun bed before you go on holiday only makes it more likely you’ll get damaged skin than if you arrive on the beach pale and white! If you want to tan before you go away, fake it! It is no safer at all. Sitting in the sun, or using a sunbed are both equally damaging to the skin and one is no better than the other. Take safe, easy steps, wear sunscreen and limit your time in the sunshine. You’ll still tan but do it in a much safer way. It does. One case of sunburn means you’ve killed off skin cells and caused damage. The less times you sunburn the better, never burning at all would be the ideal, but there are very few people at all who can say they’ve never been sunburned. I can’t see any skin damage, therefore I’m OK. 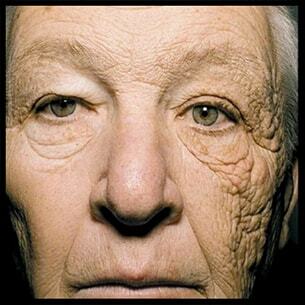 This image shows the sun damage on a 69-year-old long distance truck driver, who had repeatedly exposed one side of his face to the blistering sun through the window of his cab. The damage on the left-hand side is extensive compared to the other side of his face, which had little or no sun exposure. You might think your skin looks fine now, and still does in a few months. But over the years the damage will show through and you’re only living on borrowed skin time. UV Light lamps used in dermatologist’s offices will be able to show you how the layers of skin underneath have been damaged by the sun, and how this might affect you over the coming years. I don’t need sunscreen. It’s summer, but it’s cloudy outside! You do. The sun’s rays can still come through the clouds and damage your skin. The sunlight isn’t intense, but it’s still there. You still need to use a high SPF in the summer, even on days when the sun doesn’t shine through. NextBotox: The Answer to Fight Depression? 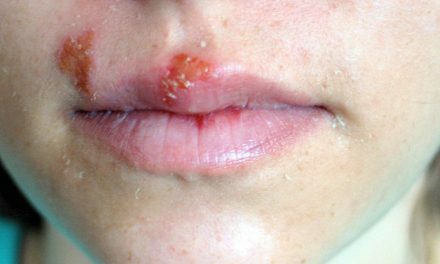 What Causes Cellulitis and How Can You Treat the Symptoms?